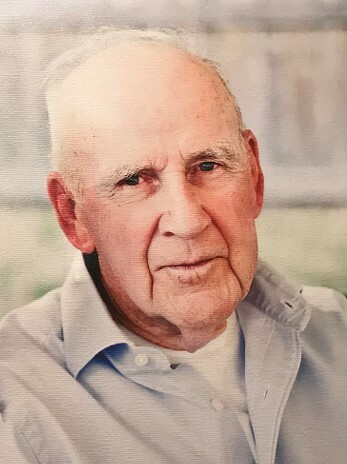 Daniel J. Connelly passed away on Saturday, December 1, 2018. He was born on September 18, 1930 in Pottsville, Pa. to Daniel and Elizabeth Connelly. Daniel enlisted in the US Army on September 1, 1947. He held every enlisted rank from Private to M/Sgt, received a battlefield commission and was awarded the Silver Star and Purple Heart in Korea all before his 22nd birthday. LTC Connelly commanded units in the 101st Airborne Division at Fort Campbell, Ky. and Special Forces at Fort Bragg, Germany and Vietnam. He is survived by his loving wife of 65 years, Maxine Connelly of the home; daughter, Teri C. Arce (Mike) of Fayetteville; son, Gary T. Connelly of Garner; grandson, Adam W. Smith; granddaughter, Staci E. Graybill (Brian); two great grandchildren, Joslyn and Connor; three sisters, Margaret Compton of Va., Ann Ditzler (Larry) of Pa. and Donna Connelly of Pa. and many nieces and nephews. Daniel was preceded in death by his parents, three sisters, two brothers and a grandson. A Funeral Mass will be held at 10:30 a.m. on Wednesday, December 5, 2018 at St. Patrick’s Catholic Church, 2844 Village Drive, Fayetteville, NC. Followed by burial at Sandhills State Veterans Cemetery. The family will receive friends prior to the Mass from 9:15 a.m. to 10:15 a.m. In lieu of flowers, donations may be made to: Special Forces, Chapter 1/XVIII, Fayetteville, NC.